'You do not need to be an expert in order to achieve satisfactory investment returns. But if you are not, you must recognize your limitations and follow a course certain to work reasonably well. 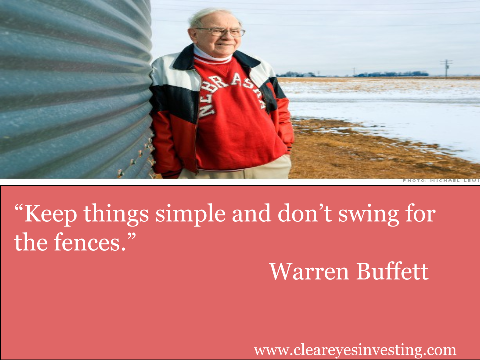 Keep things simple and do not swing for the fences.